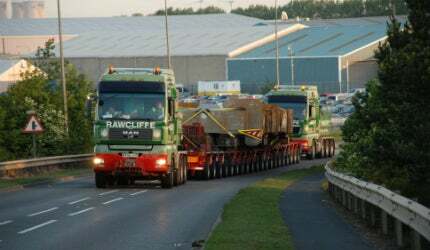 With decades of experience and expertise, JB Rawcliffe & Sons Ltd is renowned for providing a complete range of professional and dedicated transportation services, including general cargo, handling of cargo, heavy haulage, hydraulic heavy-lift systems, jacking and rigging, as well as storage. Even the transportation of abnormally large or heavy loads is all provided in our economical engineered solutions. Abnormal and indivisible loads come in a varying range of sizes and weights, but all present challenges in transportation. With decades of experience, JB Rawcliffe & Sons Ltd has particular expertise in advising customers on the best means of transporting cargo whatever the requirements. To save costs, this can sometimes involve loads being adapted and carried on standard routes. If needed, the company can design and manufacture specialist steelwork for load support. It is of particular importance to plan the most appropriate routes for specific cargo, particularly in cases where structure loading and clearance need to be taken into account. For this reason, the company can carry out feasibility studies to ensure that any issues are resolved well in advanced of transportation taking place. In the event that structures en route are unavoidable, JB Rawcliffe & Sons Ltd offers a range of over-bridge and flyover solutions that are deployed easily to ensure that no damage is done to the cargo or the structure being crossed. Our industrial division specialises in handling, installation and removals of equipment at mining sites. We possess a complete range of certified equipment that can be modified to meet the most demanding projects, including skid systems, machine and air skates, as well as our hydraulic skid system that has been designed and manufactured in-house. Our teams can move the heaviest of objects, loading them on-site and then unloading them at the intended destination. When customers do not have the means to transport loads on their sites, we provide the equipment and personnel with our forklift truck crews. Our forklifts are available in a variety of lifting capacities and both diesel and electric-powered. JB Rawcliffe & Sons Ltd offers hydraulic gantry lift systems with a capacity of 500,000kg, which is used for operations in areas where space is restricted. Its economical operation costs and compactness provides an advantage over cranes with comparable capacities. In the planning stages, 3D modelling can be used to generate a greater understanding of the demands and requirements of a cargo project. The versatile system offers capabilities for basic lifting of simple loads in spaces with low headroom, in addition to carrying and lifting large and complex loads with a number of track options. The system can be transported straightforwardly and setup quickly. It can also be containerised and sent anywhere worldwide. The company can combine machinery such as skid systems, heavy turntables and side-shift applications to ensure that handling and lifting are carried out with precision. Safety is of paramount importance to lifting operations, with the monitoring of height, weight and pressure all carried out by control panels on each tower, with safety alarms also installed. If you have specific storage needs, we are confident that we can meet them with our flexible range of solutions. JB Rawcliffe & Sons Ltd provides industrial storage solutions both indoors and outdoors that are monitored by 24-hour security and CCTV. The company’s indoor storage facility spans 1,400m² of floor space and is fully insulated. It has a 20,000kg overhead crane with 7,750mm underneath the hook and pulling points in several locations for transporting heavier pieces. Our secure outside customs storage spans a 12 acre site, with an 80,000kg capacity crane available if needed. In addition, we have the space and capabilities to handle containers of varying shapes and weights, including open-top, purpose-built, flat racks and oversized. Containers can either be put into storage or dispatched for further transportation. 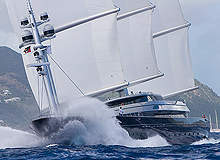 The company provides a range of salvage and recovery services, with three decades of experience. In the event of an accident on the road or and incident at a property, JB Rawcliffe & Sons Ltd is always ready to help. A combination of the company’s specialist equipment and extensive experience in handling abnormal loads ensures that whatever demands, JB Rawcliffe & Sons can provide the solution. All our services are carried out efficiently and ensure that any damage in recovery is kept to an absolute minimum. Alternative transport can be provide and any equipment recovered can be stored securely. The Hemerdon Ball mine, renamed as Drakelands Mine in 2007 and believed to hold one of the world's largest tungsten and tin resources, is located in Devon, approximately seven miles north-east of Plymouth, UK.